After causing mayhem from Gurdwara Sahib stages, Prof. Darshan Singh failed to accept the open challenge by Panthic Jathebandis to hold face-to-face vichaars on the contents of Sri Dasam Granth Sahib at Takht Sri Damdama Sahib (Sabo-Ki-Talwandi) on January 31, 2008. The challenge was posed after the Ragi hurled doubts on the banis written by Guru Gobind Singh Ji and fed misinformation to the minds of the Sikh Sangat. 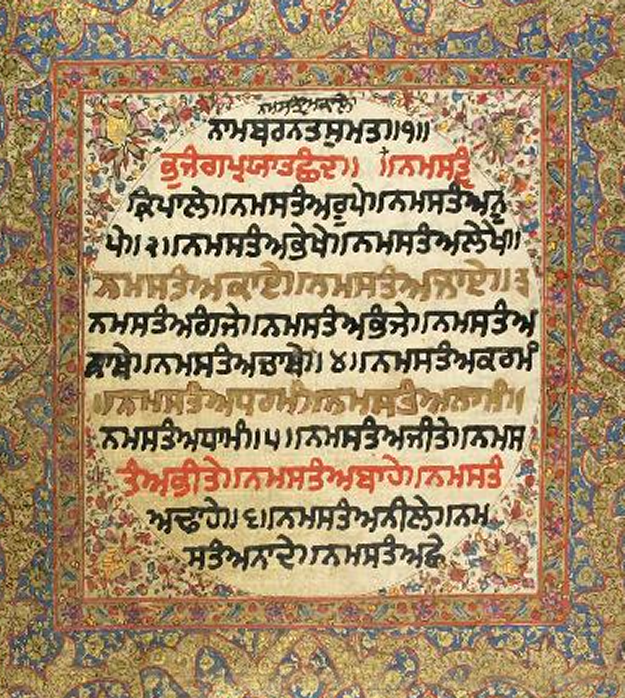 Although today Prof. Darshan Singh speaks against the status of Bani by Guru Gobind Singh Ji, in the past he has released several recordings of shabads from Sri Dasam Granth Sahib. Today, he is saying that only kirtan from Guru Granth Sahib should be performed at Gurdwara Sahibs, but when the Ragi was appointed as Jathedar of Akal Takht Sahib, several puratan saroops were present at Akal Takht Sahib and other Takht Sahibs. Why is it that he never spoke against Sri Dasam Granth back then? The problem Prof. Darshan Singh--an internationally renowned ragi--could have with Sri Dasam Granth and in sitting with his Gursikh brothers to resolve this issue remains a mystery for everyone. Perhaps Panthic Jathebandis have to unearth a deeper understanding of Prof. Darshan Singh's actual motives, and those of other individuals, who continue to cast doubts on Gurbani. If we go back in time, there have been many occasions where Prof. Darshan Singh Ragi has attended similar large scale meetings to discuss other issues. During the times of Operation Black Thunder, the Ragi organized several meetings with Indian Government officials. Sunil Dutt, Baba Amte and Sushil Muni met with Prof. Darshan Singh at Akal Takht Sahib several times to discuss the situation in Punjab. While the trio brought teams of over 40-50 people each, including several intelligence agency officers, Prof. Darshan Singh asked for the backing of 'kharkoo' Singhs. Both sides sat face-to-face and had open discussions on several important matters. "If Prof. Darshan Singh did not mind holding talks with Dhar and Rode, what caused him to remain absent from the Sabo-Ki-Talwandi convention?" Maloy Krishan (MK) Dhar, author of the book "Open Secrets,," which unveiled the horrifying secrets of India's Intelligence agencies, has written that he had met with Jasbir Singh Rode on two different occasions, along with Prof. Darshan Singh. If Prof. Darshan Singh did not mind holding talks with Dhar and Rode, what caused him to remain absent from the Sabo-Ki-Talwandi convention? Why is it that in the 1980's, Prof. Darshan Singh chose to hold talks with intelligence agents and Government officials but today he cannot sit with GurSikhs to resolve the 'issue' of Sri Dasam Granth Sahib. In recent times he has held events from Sri Hazoor Sahib and spoken against the status of Sri Dasam Granth but he could not attend the convention at Damdama Sahib. Not very long ago, the Ragi also held talks with Chaman Lal and the Delhi Sikh Gurdwara Management Committee and gave Chaman Lal a clean chit to perform kirtan at Gurdwara Sees Ganj Sahib. Chaman Lal is an advocate of the RSS's right wing Hindutva philosophy and recently Panthic Weekly published news articles and editorials exposing the anti-Gurmat acts by the New Delhi based RSS agent. It should be noted that at the 'Nanak Farm House', the personal dera of Chaman Lal, 'parkash' of at least four different granths is done beside Guru Granth Sahib. Today Prof. Darshan Singh questions the need of reading bani from Sri Dasam Granth, but did he care to get the additional granths removed from Chaman Lal's dera before giving him a clean-chit? Did Prof. Darshan Singh ask Chaman Lal to remove the statues and pictures of Hindu Gods and Goddesses from his house before holding talks with him? Prof. Darshan Singh gave a clean chit to Chaman Lal, but on what merits? Does he consider himself to be a Superior Jathedar of the Panth that he can summon others and also question the validity of Gurbani? If we put a spotlight on the issues of Chaman Lal and Sri Dasam Granth, it becomes evident that all these controversies were pre-planned. When the true-face of Chaman Lal was exposed, Prof. Darshan Singh was used to start a fresh new controversy to diverge the attention of Panthic Jathebandis. "Prof. Darshan Singh's decision to not attend the convention proves that his ultimate goal is not to resolve these issues, but to raise doubts in the minds of the Sangat." Prof. Darshan Singh portrays himself as an intellect of the Sikh Community, and he was given the option to bring any number of scholars to the convention. No limits were placed on how many such scholars could accompany Prof. Darshan Singh. Instead of sitting face-to-face with the Sikh Sangat, Prof. Darshan Singh chose to disregard the issue and released letters using derogatory terms to address the Gursikhs who had launched the challenge to discuss the contents of Sri Dasam Granth Sahib. Prof. Darshan Singh's decision to not attend the convention proves that his ultimate goal is not to resolve these issues, but to raise doubts in the minds of the Sangat. His ultimate motive was to split the Khalsa Panth on the matter of Sri Dasam Granth and to cause further frictions in beliefs of the Sangat. This is the target of Prof. Darshan Singh and it is not very different from the agenda of ex-communicated Gurbaksh Kala Afghana or Rozana Spokesman Editor Joginder Sawney. In the matter of Sri Dasam Granth, there are two sides holding opposing views. What is the problem that Prof. Darshan Singh has in sitting down with the other side to resolve it? Such double-standards shown by Prof. Darshan Singh suggest a lot. There are people who like to spark a fire and then escape to save themselves and Prof. Darshan Singh has done the same. He has caused doubts in minds of so many youth, who today are ready to go after each other's throats on the matter of Sri Dasam Granth. This blame clearly lies on Darshan Singh himself. Prof. Darshan Singh failed to accept the challenge by Panthic Jathebandis and both Kala Afghana and Sawney also ran away from appearing at Akal Takht Sahib to discuss their stance on the bani of Guru Gobind Singh Ji. They knew that by holding vichaars, they will have to admit the truth. Their intentions are not to resolve such issues, as their hidden promoters want them to extend these issues forever so the Khalsa Panth can never unite. If Prof. Darshan Singh had attended the convention, the matter would have been resolved and the decade long mischievous motives of anti-Sikh agencies would have gone in vein. Panthic Weekly, along with other Panthic Jathebandis, appeals to the Sikh Sangat residing worldwide to take notice of these so-called religious scholars and to ban them from preaching such misinformation that is keeping the Panth divided in different factions. Not only Prof. Darshan Singh, but all others who question the validity of Sri Dasam Granth are invited to sit with Panthic Jathebandis, face-to-face, anywhere and anytime in the future to discuss its contents. Disclaimer: Panthic.org does not necessarily endorse the views and opinions voiced in the feedback from our readers, and cannot be held responsible for their views. That Panthic.org reserves the right to publish the above submission online, or in the letters to the editor section. Comments may be edited for readability. * NOT related to the article being referenced. * Racist, abusive or otherwise objectionable. * Contains profanity or other language likely to offend. * Being repeatedly posted (known as "spam"). © 2017 Copyright Khalsa Press. All Rights reserved.